The Superga mens fashion trainers, an edgy update of the classic 2750 in white leather, making them the perfect smart-casual choice for the colder season. With a comfortable cotton lining, the timeless shoe is a lightweight, simple shape with a vulcanised rubber sole. Fastened with thin laces through six pairs of sturdy metal eyelets. 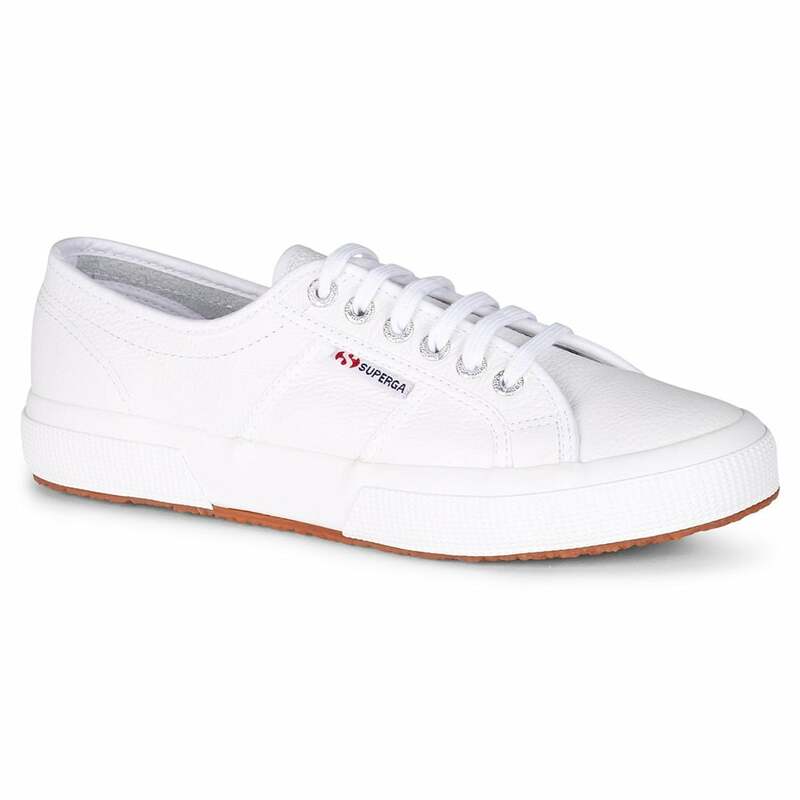 Get your Superga 2750 Efglu Mens Leather Fashion Trainers today!